Notice is hereby given pursuant to N.J.S.A. 40A:65-25(d)(1) that the Regular Meeting of the Roxbury Mount Arlington Consolidation Study Commission scheduled for September 9, 2015 will be held at the Roxbury Recreation Office, 72 Eyland Avenue, Succasunna, New Jersey 07876. The meeting will begin at 7:00pm. Formal action may be taken. The following members were absent: Fred Hall, Larry Millus and Steven Sadow. Chris Rogers read - This meeting has been advertised and is being conducted in accordance with the provisions of the “Senator Byron M. Baer Open Public Meetings Act,” P.L. 1975, c. 231. Chairperson Craig Heard asked that Resolution 2015-7 be presented and discussed as it would impact the voting of the remainder of the evening. 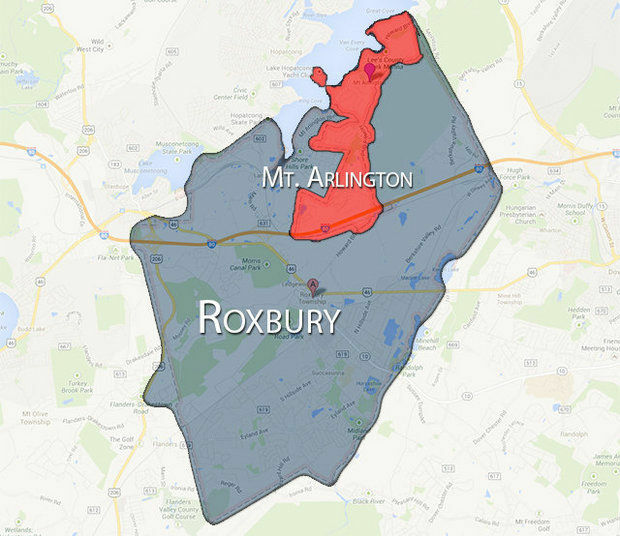 2015-7 RESOLVED, that the Roxbury Mount Arlington Consolidation Study Commission approves alternate commission members to participate in all commission activities except for the final vote to recommend or not recommend consolidation. Know when you plan to present the vote to the public. Schedule backwards from that point. Gene Paradiso asked about the dissemination of preliminary reports? Anton said that after they were approved in committee, they posted right away. Anton also stated that they creation of a baseline report is crucial before starting anything else. Craig Heard asked if there should be a flow of information? Anton stated that you should tell the public what you know when you know it. Jerry Frisco asked about how you handle the bad press? Anton said to work through the process and keep and open mind. Does the data support what you are doing? Vincent Reilly asked about the differences between what we are doing – Citizens Petition and what Princeton did – Municipal Resolution? Anton explained how the Princeton commission was formed. The mayors of each town asked for applications. Chris Raths spoke about his dealings in Massachusetts with efficiencies and quality of service. He asked how the differences in identity were addressed? Anton spoke about how they tried to bring differences together when possible. Anthony Fernandez asked about Anton’s quote – If the effort failed, I failed. He asked Anton what he meant? Anton replied that the effort was sanctions by both towns and the towns cooperated. The goal was not to consolidate, but to see the process through. The goal was to consolidate once the information showed this was the right way to go. Laurel Whitney asked where the funding came from? Anton said that 36K came from the state. 120K came from both communities. There was no outside fundraising. Discussion continued about funding sources from multiple commissioners. Craig Heard asked about the cost of the consultant and the overall savings. Anton said the consultant cost 76K and the overall annual savings was 3.1 million dollars. Nancy Absalon asked if the towns were happy now? Anton said generally. Chris Rogers asked if the commission came across any confidential information during the process? Anton said they never reviewed any confidential information from the towns. They never held an executive session. You are not looking at people, you are looking at data. Laurel Whitney asked how alternate commission members were handled? Anton said any vote needed at least 3 votes from each town. The alternate filled in when the town representative was not present. Gina Genovese stated that the Princeton’s already had 13 shared services and trash collection was public in one town and private in the other. The final result was a benefit to the taxpayers not originally in the budget. Gina Genovese stated there is pending legislation to change the process of the commission continuing to work after the public vote. Also tax equalization is an issue addressed in the legislation. The new legislation would give the towns latitude to allow both towns to “win” during the process. Gina Genovese presented the commission with a check for $5000.00 from the Courage to Connect Board. Chris Raths made a motion to accept the donation. Gene Paradiso made a second. Chris Rogers made a motion to approve the minutes as amended. Laurel Whitney made a second. Gene Paradiso commented that he spoke with Steven Sadow about meeting at the Mount Arlington Library. The request was denied by the library board due to politics. Gene Paradiso spoke about the value of the meetings being recorded. Chris Rogers clarified that the commission is not recording the meetings. The request was made from a member of the public. Chris Raths suggested that the bank account should have two signatures for every expenditure. It was agreed that the chairperson would receive an email every time an expense was to be paid. Chris Raths made a motion to approve the donations. Maureen Castriotta made a second. Gene Paradiso made a motion to approve the donations. Maureen Castriotta made a second. Chairperson Craig Heard created an Agenda, Information & Data Collection Committee . The members are Craig Heard, Gene Paradiso, Laurel Whitney and Chris Rogers. At a future committee meeting, they will discuss the following months agenda and bring recommendations to the full commission. Chairperson Craig Heard created a Fundraising Committee. Members included Jerry Frisco and Laurel Whitney. Laurel Whitney brought up the need for a dissemination of information policy. Members of the commission debated the issue. Chris Raths suggested amended wording. 2015-15 RESOLVED, that the Roxbury Mount Arlington Consolidation Study Commission approves the chairperson or his designee to act as spokesperson and point of contact for the dissemination and requests for information, until such time that the bylaws address the issue further. ChrisRaths made a motion to approve the donations. Laurel Whitney made a second. 2015-1 RESOLVED, that the Roxbury Mount Arlington Consolidation Study Commission approve the 2015 meeting schedule and location. See exhibit A.
Gene Paradiso made a motion to approve the resolution. Paula Danchuk made a second. 2015-2 RESOLVED, that the Roxbury Mount Arlington Consolidation Study Commission approve the 2015 commissioner information roster. See exhibit B.
Gene Paradiso made a motion to approve the resolution. Maureen Castriotta made a second. 2015-3 RESOLVED, that the Roxbury Mount Arlington Consolidation Study Commission directs the Secretary / Treasurer to place legal notices with the Roxbury Register and Daily Record notifying the public about regular meetings of the commission. The approved cost of the legal notices is up to $50.00 per month. See exhibit C.
2015-4 RESOLVED, that the Roxbury Mount Arlington Consolidation Study Commission directs the Treasurer to open a bank account with Highlands State Bank. Gene Paradiso made a motion to approve resolution 2015-3 and 2015-4. Maureen Castriotta made a second. 2015-5 RESOLVED, that the Roxbury Mount Arlington Consolidation Study Commission directs the Technology Committee to create a website with GoDaddy and Blogger, and email accounts with Network Solutions. The approved annual cost of the website and email service is up to $150.00 per year. Chris Rogers made a motion to approve the resolution. Laurel Whitney made a second. Chris Raths commented that he would like to keep his own personal email address. Anthony Fernandez stated that he and Steven Sadow have a personal email account they have been corresponding with. Chris Rogers stated that personal email addresses should be debated further, but should not stop this resolution from being passed. 2015-6 RESOLVED, that the Roxbury Mount Arlington Consolidation Study Commission directs the Chairperson to inquire about the scope of volunteer services offered at by Walter M. Luers, Esq. See exhibit D.
Chris Rogers made a motion to approve the resolution. Gene Paradiso made a second. 2015-8 RESOLVED, that the Roxbury Mount Arlington Consolidation Study Commission directs the Technology Committee to create a Facebook page. Use policies shall be discussed at the next Technology Committee meeting and presented to the commission for approval. 2015-9 RESOLVED, that the Roxbury Mount Arlington Consolidation Study Commission directs the Technology Committee to create a Twitter page. Use policies shall be discussed at the next Technology Committee meeting and presented to the commission for approval. 2015-10 RESOLVED, that the Roxbury Mount Arlington Consolidation Study Commission directs the Technology Committee to create a Go Fund Me account. Chris Rogers made a motion to approve resolutions 2015-8, 2015-9, 2015-10. Gene Paradiso made a second. After discussion by commission, it was agreed to table 2015-8 and 2015-9 and send them back to the technology committee for further clarification of the use policy. Chris Raths was concerned about voting to create social media accounts without a use policy in place first. A vote took place on 2015-10 only. Gene Paradiso reported on questions the committee had before presenting a draft of the proposed bylaws. He asked the commission about issues pertaining to confidentiality, vacancies and commissioner removal. George Haeuber suggested to keep any policies specific to something measurable and not subjective. Nancy Absalon suggested following Roberts Rules of Order. The committee will present a draft of the bylaws to the commissioners at the next meeting. Jerry Frisco made a motion to approve the resolution. Chris Raths made a second. Rosalie Lamonte presented an impact report which was created by her office. She stated the report only looks at what would happen if the existing districts were merged. It does not take into account any duplication of efforts. Gene Paradiso asked about any further reports that would be provided. Rosalie Lamonte explained there was no money for any further reports. Gene Paradiso asked about the merging of union contracts. Rosalie Lamonte explained that the higher of the two contracts would prevail. Chris Raths asked if the report included the payment to Roxbury from Mount Arlington for the sending receiving relationship. Rosalie Lamonte said that it did not break that payment out. Chris Rogers clarified that the higher of the two contracts would prevail, being Mount Arlington. Rosalie Lamonte verified it would be the higher of the two contracts. Gene Paradiso spoke about the need for the consolidation commission to obtain insurance. Chris Raths stated that he would check with a few of his contacts about pricing. Craig Heard said that he was going to postpone his areas of study workshop as it was getting late. He asked that all commissioners send him an email regarding their thoughts on committee appointments, volunteers and study timeframe. Rosalie Lamonte requested that we OPRA the Mount Arlington School Study that was completed by the Mount Arlington School District. Notice is hereby given pursuant to N.J.S.A. 40A:65-25(d)(1) that the Regular Meeting of the Roxbury Mount Arlington Consolidation Study Commission scheduled for August 12, 2015 will be held at the Roxbury Recreation Office, 72 Eyland Avenue, Succasunna, New Jersey 07876. The meeting will begin at 7:00pm. Formal action may be taken.